I’ll start with the positive. The ground beef had great flavor. The problem was there was not enough of it. 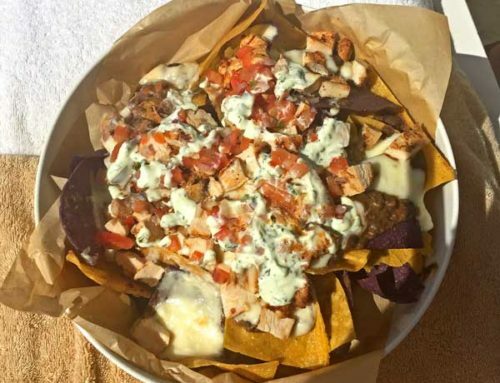 In fact, the toppings were sparse all the way around making this dish more a basket of chips rather than nachos. 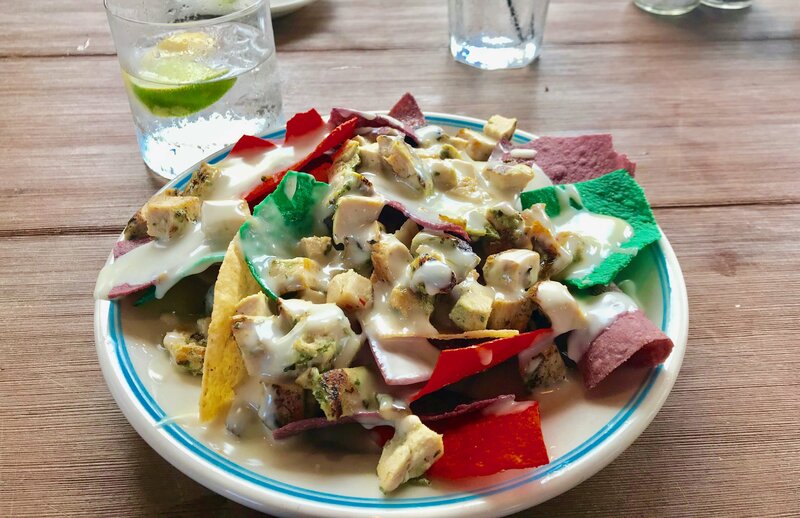 The appearance was unique in that you had the chips surrounding a pile of lettuce with 2 plastic cups of sour cream and guacamole. 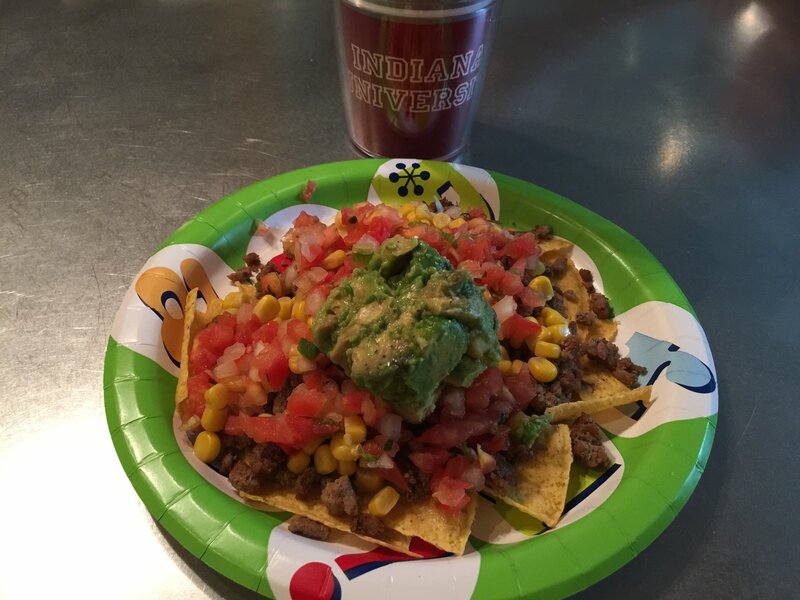 It was a waste of lettuce and of crucial nacho space. 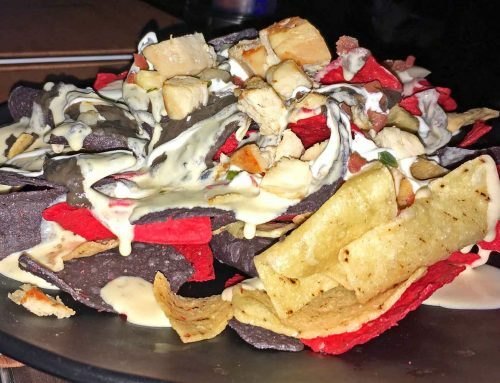 On a side note to all of you nacho makers out there, don’t put topping on the side unless asked to do so. This dish would have been improved if they took the time to put the guacamole and sour cream on the nachos instead of in plastic black cups. 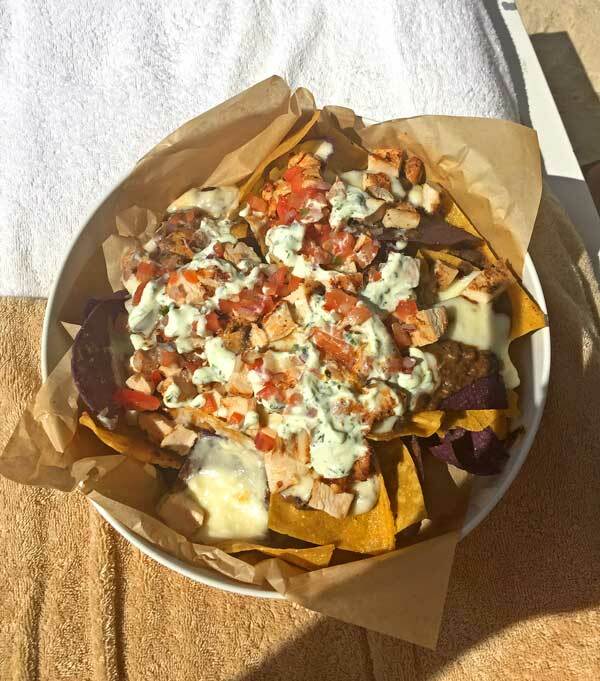 Due to the lack of toppings, the chips were definitely not put to the test to see if they would maintain a nice crunch. Be that as it may, they were light and crisp and easily the best part of this offering. 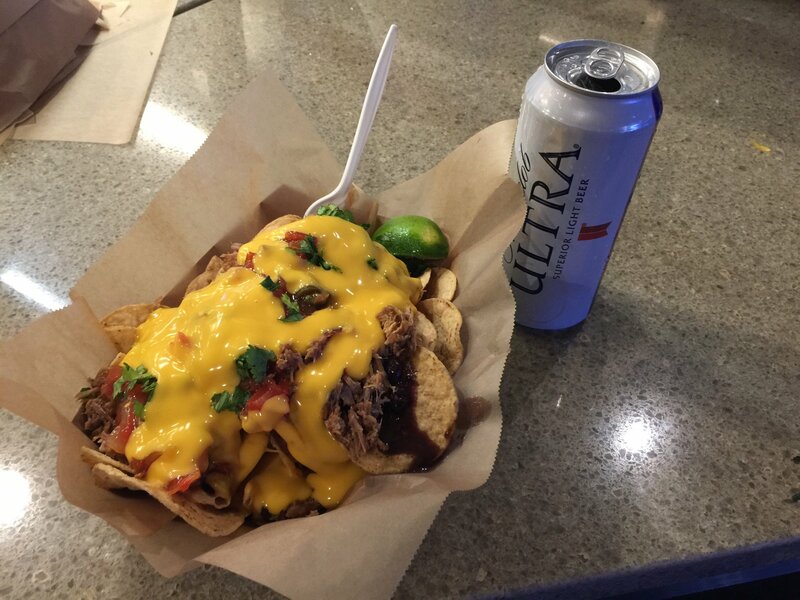 When you did get a bite of a nacho evenly balanced with toppings, they were quite good and made you realize that these nachos have potential. Hacienda has been a favorite spot since I first had the shredded beef wet burrito as a kid. 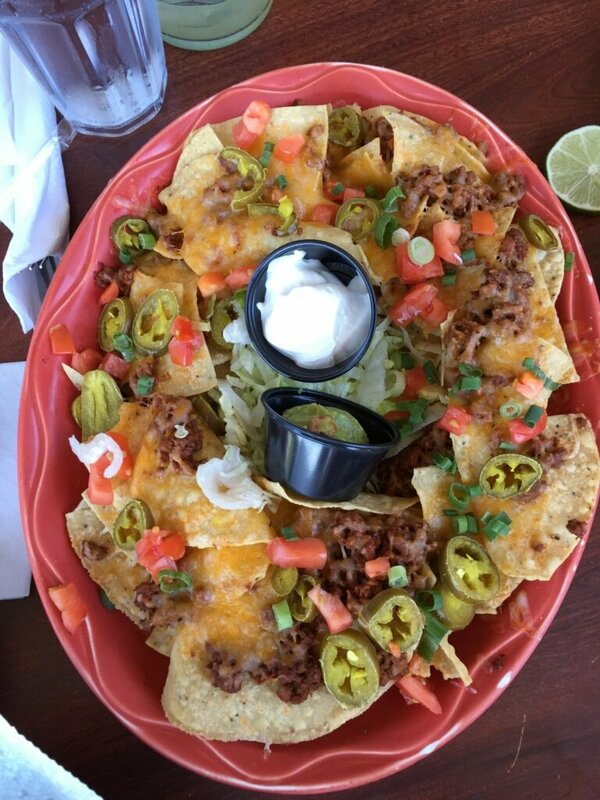 So, it pains me to give the Nacho Fiesta a poor rating but we here at NachoDudes call them like we see them. This dish was simply disappointing. 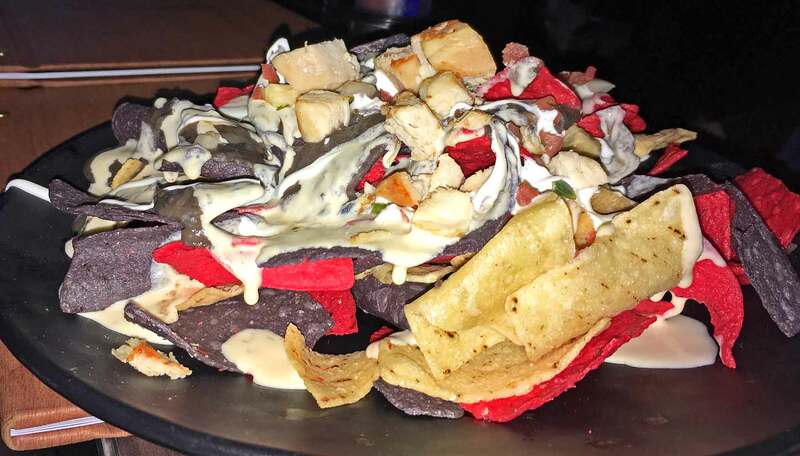 I would tell Hacienda to go the individual nacho chip route if they want to skimp on the toppings. If they want to continue to go with the pile technique, they need to at least triple the amount of toppings. 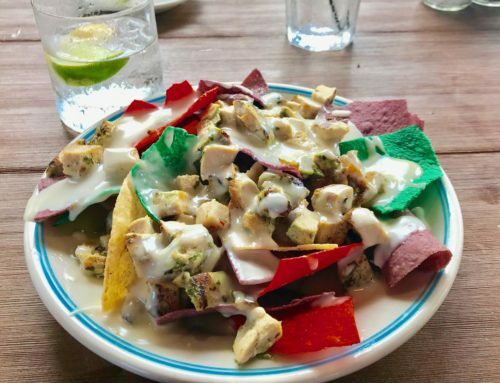 Either way, Hacienda needs to reevaluate this dish if they want to be taken seriously in the nacho community.